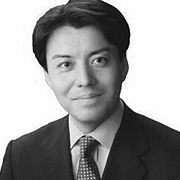 Satoshi Akutsu is a Professor at the Graduate School of International Corporate Strategy, Hitotsubashi University. He has a joint appointment with the Department of Commerce at Hitotsubashi University, and is also a Visiting Professor at the National Institute of Informatics. Prior to joining Hitotsubashi University as an Assistant Professor, he was a Research Fellow at the Institute of Management, Innovation, and Organization (IMIO) at the Haas School of Business. In the academic year 2007-2008, he was on sabbatical and visited the University of California at Berkeley, where he was affiliated with both the Haas School of Business and the Department of Psychology. He is a member of the Culture and Cognition Laboratory and is affiliated to IPSR at UC Berkeley. Professor Akutsu has been invited to various academic conferences to present research, and has been actively providing advice and training to various companies, central/local governments, and NPOs on marketing, branding, and management in general. Professor Satoshi Akutsu received his BA and MA from Hitotsubashi University, and his MS and PhD from the Haas School of Business at the University of California, Berkeley. Professor Akutsu's current research interests lie in the following three areas: (a) brand and service management, (b) cultural influence on consumer behavior, and (c) emotion and its impact on economic transactions.